Located on what is undoubtedly one of the best beaches in the World, Serenity Cottages invite you to come and enjoy your own piece of paradise. Nestled amongst beautiful lush green gardens that invite you to relax, open your mind and leave all your worries behind are 2 cottages with all the amenities that you can possibly need to enjoy your stay with us. 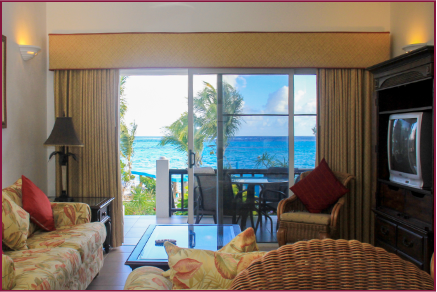 Each cottage is literally a stone's throw away from the azure blue waters and white powdery sand of Shoal Bay beach. Whether you are looking for a secluded romantic getaway with dramatic sunsets, a convenient oceanfront property where you can walk to various restaurants or a simple place to stay while you unwind, look no further! Each cottage was skillfully designed to offer a traditional yet contemporary architectural style that offers the cozy and warm Anguillian experience. For the ultimate dining experience, Serenity Restaurant is sure to entice your palate with scrumptious breakfast, lunch and dinner selections. It was our first time staying at a Cottage and it was great!! It wasn't just a place to sleep at night but we felt at home. The beach was as great as the Cottage and we enjoyed snorkeling. We also enjoyed our meals, breakfast, lunch, and dinner. We all had a wonderful time and we hope to come here again. Serenity, so serene, peaceful and beautiful, we loved our stay! It was our very own piece of paradise. Thanks for your wonderful hospitality and hope to return again. The best things in life are the people we LOVE. The PLACES we've been and the MEMORIES we've made along the way. We love to come home to Serenity! Thank you management & staff! We love you!